They arrived by the hundreds one evening last week, crowding into the PS 89 lobby and yard. 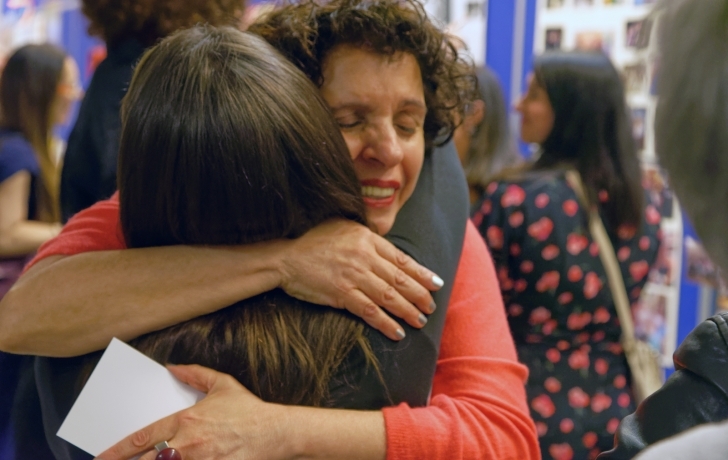 Students and alums, school parents and staff from past and present were there to celebrate the school’s 20th anniversary with hugs, happy reconnections and a flood of shared memories. Mike Clark agreed. A cleaner at the school for all 20 years, he credited the school’s “strong PTA, well-behaved kids and support. It’s all about support,” said Clark, whose own children went to the school. And good leaders, he noted. “I’ve had good principals from day one,” he said, referring not only to Najjar, but longtime IS 289 principal Ellen Foote and its current leader Zeynep Ozkan.